It’s time to have freels again with “Free! – Iwatobi Swim Club” season 2 | Tsundere Britannica - UK Anime/Game News and Features! Last summer, Kyoto Animation (The Melancholy of Haruhi Suzumiya, K-ON!) gained a rather impressive fan following with Free!, a sports anime that revolved around the Iwatobi Swim Club and its members. At the end of the final episode, an end-card stating “see you next summer” was already laid out as a huge hunt that the series would receive a continuation (and to be honest, which recent KyoAni series hasn’t?) but a poster at special Free! talk event in Japan earlier today outright confirmed it – a season 2 has received the green light. No details about the second season have been announced yet, but there will no doubt be many fans will be looking forward to returning to the Iwatobi Swim Club! The original series was simulcast on Crunchyroll as it aired. 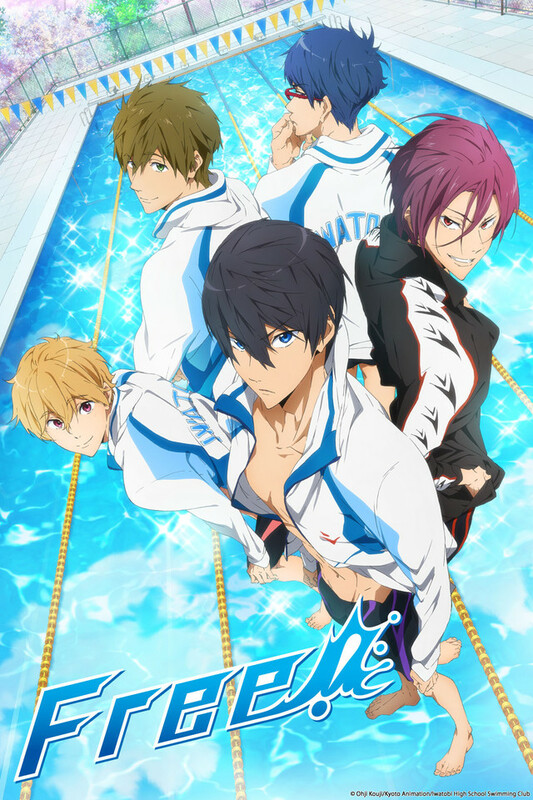 This entry was posted in Anime and tagged Crunchyroll, Free!, Free! - Iwatobi Swim Club, Kyoto Animation, Swimming anime.